You may have heard that, in a pinch, you can use super glue to seal up cuts if you do not have access to a doctor or the means to perform stitches. Of course, if you’re like me, you might be pretty hesitant to try it out. I wanted to look into whether or not this was actually recommended to do, so I’ve gathered up some info on how and why to do it. 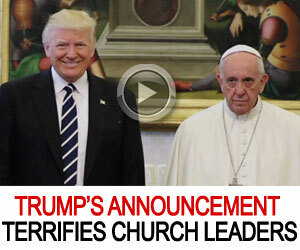 I will still say, however, if you’re hesitant, look into it yourself. This is simply a guide on how to do it, not an argument for why it’s safe or OK to do, but I did conclude from my own research that it is a great option for survival first aid. The mythology around the introduction of super glue, or the acrylic base resin called cyanoacrylate, which is what the substance is, caught on in WWII as a way for soldiers to quickly seal up cuts on the battlefield. Whether or not this is true is unclear, but since it’s introduction to the commercial market, many people have used it for this purpose with great success. 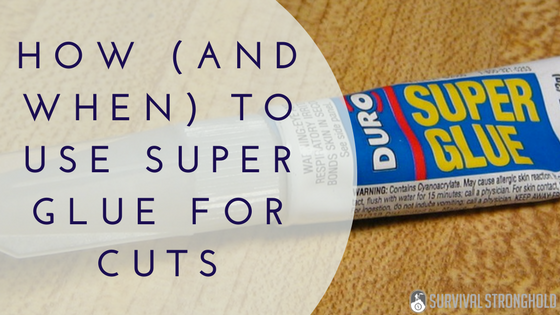 Super glue is perfect for sealing up short, shallow cuts because it is incredibly sticky, dries quickly, and will keep out bacteria and moisture. The famously permanent glue creates an impenetrable barrier between your cut and the environment, making it far more sanitary and reliable than a simple bandage or band-aid. Finally, what to do. First, clean, irrigate, and sanitize the wound. Then, make sure it is safe to use superglue for, based on the criteria above. When it is cleaned, gently patted dry with a clean cloth, and not steadily bleeding (if it’s really flowing, this won’t work, and you probably need medical attention), gently pinch the cut closed, and then cover with a fine line of the super glue. Hold it in place while the glue dries, usually a few minutes. Once it’s dried, you’re good! Just make sure not to pick at the superglue, and simply let it fall off naturally. After my research, I would definitely recommend keeping some super glue around for this purpose. As I mentioned, do your own research and see what you find out, but I’ve determined it quite a valuable survival first aid item. Are Vitamins Necessary in Your Survival Pantry?